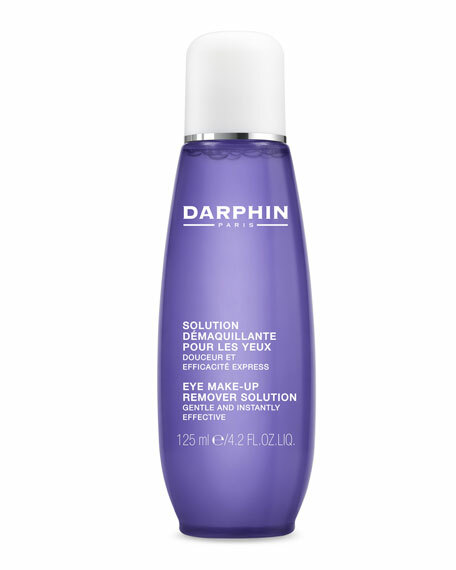 Darphin Eye Makeup Remover, 4.23 oz. DarphinEye Makeup Remover, 4.23 oz. This ultra gentle, nondrying formula made from rose, cornflower and melilot extracts, instantly moisturizes the eye contour as it perfectly dissolves makeup and traces of dirt, leaving eyes clean, refreshed and delightfully hydrated. 92% of total ingredients are from natural origin. Dermatologist and ophthalmologist tested. For in-store inquiries, use sku #167731.